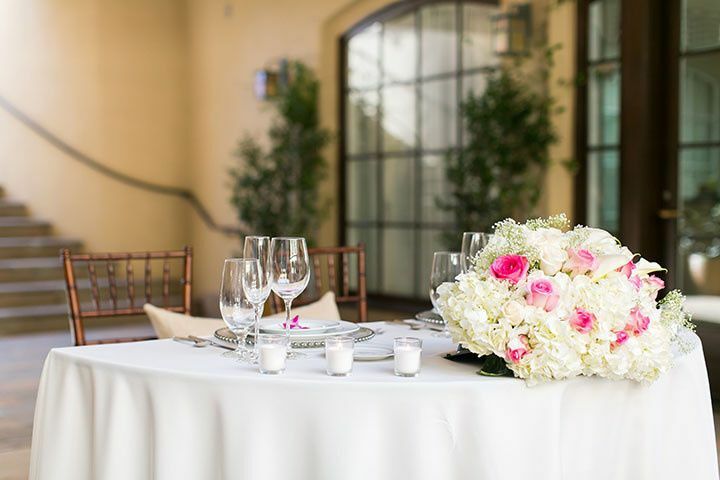 At the Plaza de Magdalena A Catering and Event Venue by Sundried Tomato, couples will find a ballroom for their wedding in the Orange County, California area. 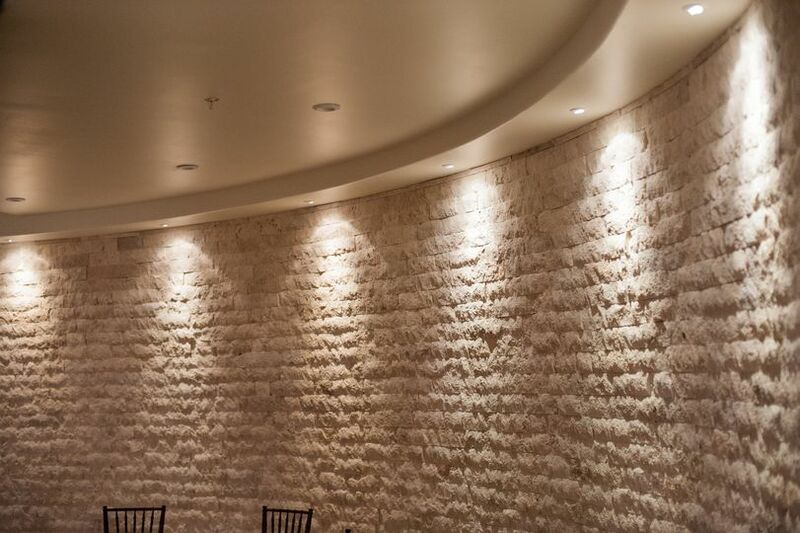 This romantic city venue welcomes couples with grand staircases, lovely courtyard space and a stone accent wall. 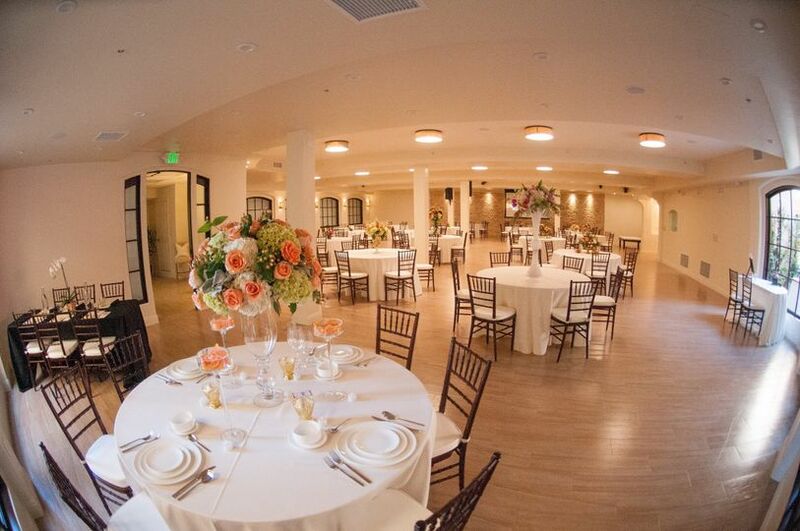 Couples can find this ballroom space 18 minutes from Treasure Island Park. Up to 230 guests can join couples for their wedding at the Plaza de Magdalena A Catering and Event Venue by Sundried Tomato. 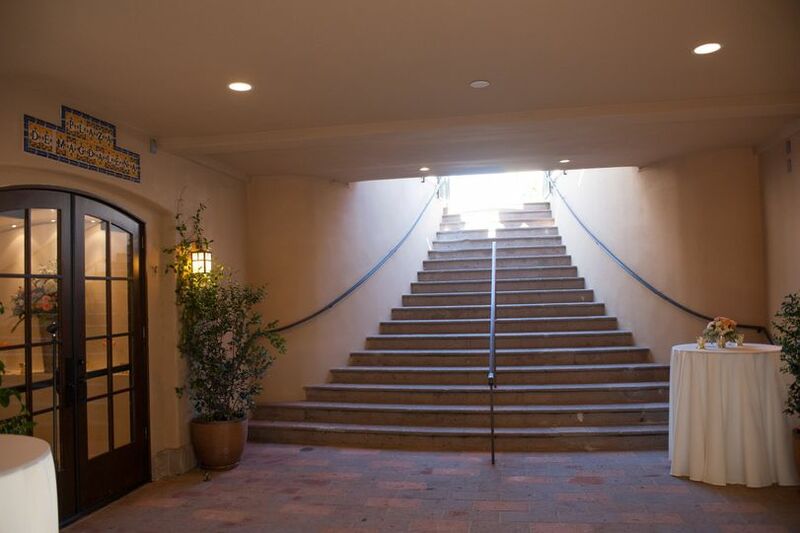 Couples can head down the grand stairs to the open-air courtyard, perfect for their ceremony, cocktail reception or other wedding-related event. The courtyard features a copper fountain, tall topiaries and strings of twinkling light bulbs. 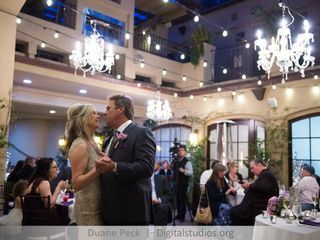 From there, couples can join guests in the Magdalena Room, which seats up to 200 guests with a dance floor. Light hardwood floors and neutral wall colors allow couples to make the space their own or play up the elegant simplicity of the space. Across the courtyard is the Teofilo Room. This space serves as a vendor staging area or additional getting-ready room. It boasts an accent wall of squares with a cushiony appearance and a mirror on a separate wall. Elegant furniture within this space can be relocated or rearranged, depending on the couple's needs. Plaza De Magdalena was everything we were looking for in a wedding venue. Working with Patti was such a delight! She was so organized, responsive, and fun! 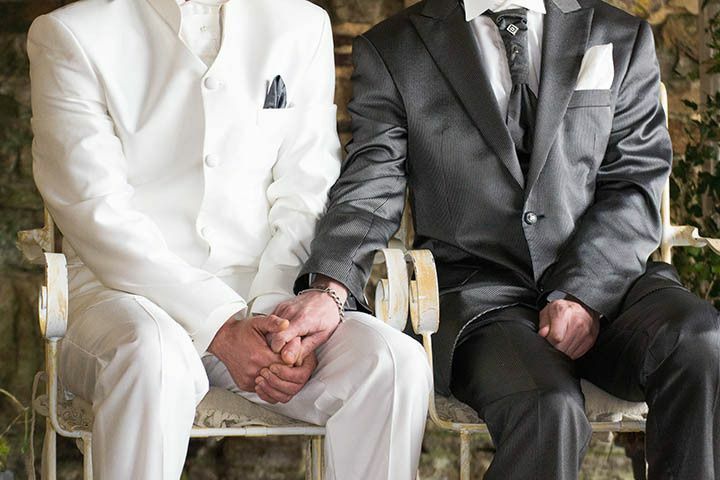 She also was able to recommend great vendors who made our wedding everything we ever dreamed of. The venue itself was beautiful. 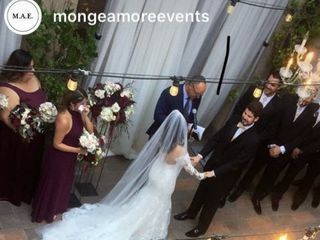 At first we were slightly concerned about having a ceremony of 140 in the courtyard and flipping to the cocktail hour, but when the day of the wedding came, we didn't even notice the flip. The food was absolutely incredible! Doing the menu tasting was a blast and our only regret was not being able to choose everything! 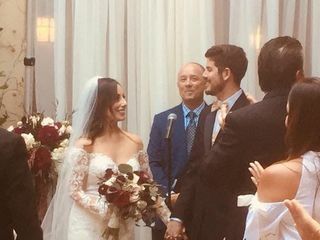 Multiple guests said it was the best dinner they'd ever had at a wedding. The staff the day of were exceptional. They worked so hard to execute our vision and everything was done beautifully. If you're looking for a unique, charming, special, personalized wedding venue, Plaza De Magdalena is the venue for you! Amazing experience, wonderful to work with! Patti and her team were so accommodating and easy to work with. They all made the experience so enjoyable and not stressful at all! Her preferred vendors were incredible to work with as well. The layout of the venue accommodated our guest count of 200 perfectly and it didn't seem cramped at all! It was a really hot day, so it was amazing to have the indoor/outdoor option the entire night. I loved the getting ready room where my (now) husband and I hid out during cocktail hour and her staff fed us dinner and brought us drinks! They even made us iced coffee in between the champagne. It was the pick me up we needed to get through the marathon of a day. It was perfect, flawless, and amazing. 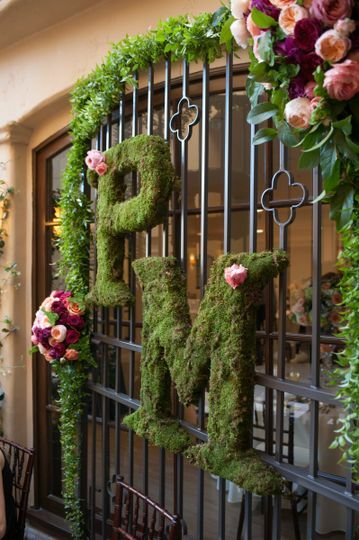 This venue is the perfect tucked away venue to make your day feel extra special. Thank you Patti! 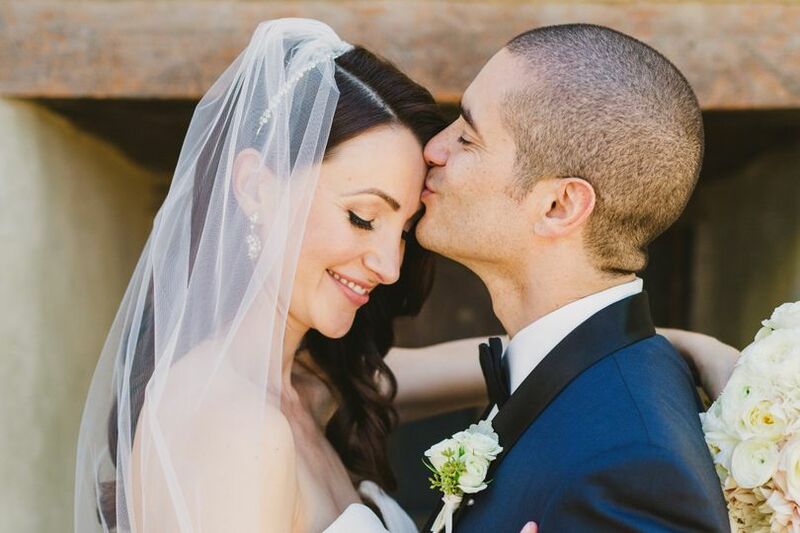 I had a vision of a romantic and intimate wedding, and Plaza de Magdalena delivered! Our guests haven't stopped raving about the food and the venue, both were a huge hit! We did the Teafilo Mexican food menu, and guests keep commenting that it's the best wedding food they've had. We totally agree! We couldn't have had a better experience planning our wedding. 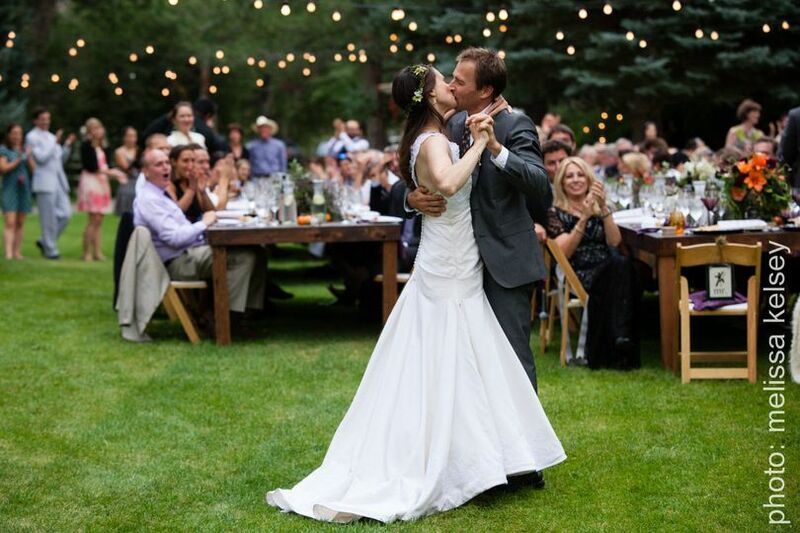 Everyone at the venue was very easy to work with, and Patti made the whole planning process very easy. 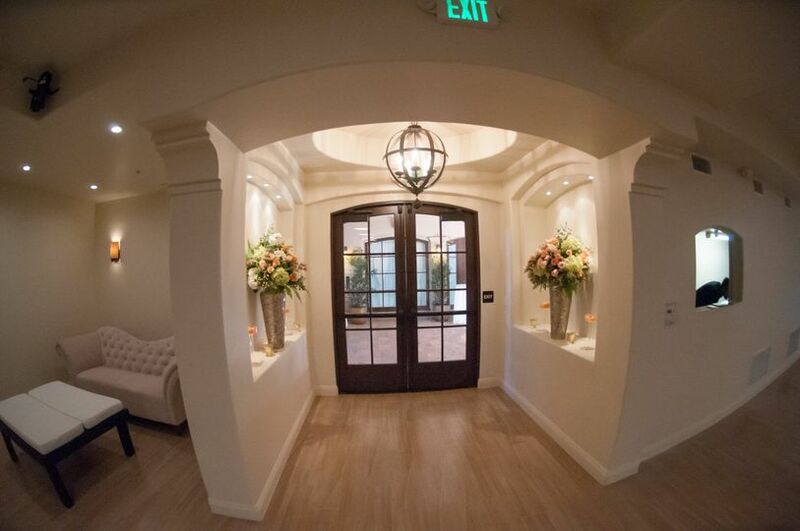 It's located in the historic San Juan Capistrano area that adds to its charm. 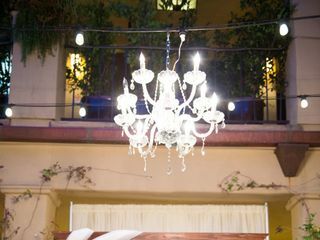 I would highly recommend Plaza de Magdalena for any bride searching for a beautiful venue. 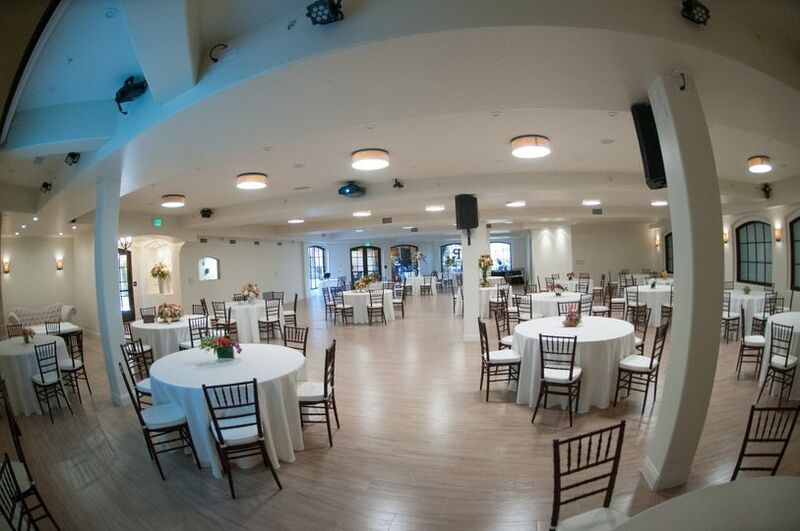 Plaza de Magdalena is a beautiful unique venue in the heart of downtown San Juan Capistrano. With delicious catering by Sundried Tomato and proximity to great photo locations, this venue has everything you&apos;re looking for! Plaza de Magdalena and Sundried Tomato are a dream team! 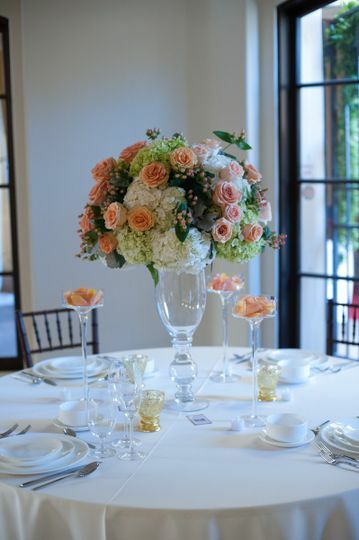 Take a gorgeous new venue in the heart of old San Juan Capistrano and have it served beautifully by this wonderful catering team, and you have the foundation for a fabulous event. Looking forward to many events with them!